Phocas has ranked top in 16 categories and a leader in 24 categories in independent software analyst, BARC BI’s 2016 business intelligence software review. To download the report on Phocas' highlights in The BI Survey 16, complete the short form on the right. 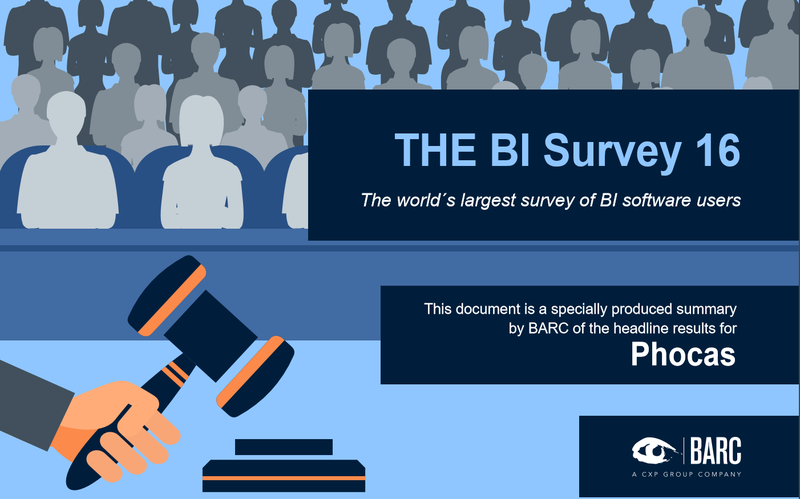 To download a copy of Phocas Software's performance in The BI Survey 16, fill in the form below.